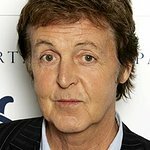 Sir Paul McCartney, Brad Pitt, Katy Perry, Robert Carlyle and a host of the world’s best loved and well-known house-hold names from Music, Film, TV and sport have pledged their support to male cancer awareness this International Men’s Day, by donating their signed and worn ties and scarves, all to be auctioned as part of the Cahonas Scotland ‘Loosen Up’ eBay campaign. With men often “tongue tied” when discussing or dealing with male health issues it is hoped that the auction and campaign will provide an innovative way to help bring positive change in Male Cancer Awareness. 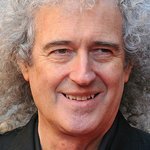 Other top celebrities who have been “positive role models” to the campaign, International Men Days 2012 theme, include Eric Clapton, Damian Lewis, Piers Morgan, Stephen Fry and Olly Murs as well as international stars, John Slattery of hit TV series Mad Men and The Killers front man Brandon Flowers. The campaign has also seen much female support with Jessie J, Katy Perry, Sienna Miller, Dawn Porter and Dita Von Teese also backing the campaign, in the name of improving awareness of Male Cancers. Enthusiastic fans eager to get their hands on their favourite stars item can go online to bid from Monday 19th November until Sunday 25th November (7.30pm until 7.30pm) via the Cahonas Scotland eBay store by visiting the link www.loosenupauction.com. All money raised will help Cahonas Scotland to advance education of the public in matters relating to male cancers and to undertake where necessary the prevention of discrimination and stigma arising from diagnosis and the cancer experience. The complete list of celebrities with autographed ties and scarves include: Akon, Alan Shearer, Brad Pitt, Brandon Flowers, Brian May, Caroline Flack, Chris Moyles, Craig Revel Horwood, Damian Lewis, Dawn Porter, Derren Brown, Dita Von Teese, Elvis Costello, Eric Clapton, Frank Skinner, Jay Leno, Jeff Stelling, Jessie J, Joanna Lumley, John Bishop, John Slattery, Katy Perry, Mark Wahlberg, Michael Schumacher, Mika, Olly Murs, Piers Morgan, Robert Carlyle, Sienna Miller, Simon Baker, Simon Pegg, Sir Cliff Richard, Sir Paul McCartney, Stephen Fry, Stephen Merchant and Ty Burrell. Other items will also be up for auction include an Andy Murray signed Match Shirt and a One Direction signed hooded top.